Set against the backdrop of Russia, we follow Feodora as she adventures across snow strewn woods heading towards the city in order to help her mother, Marina, who has been imprisoned by the slightly unstable General Rakov. As the story starts we meet Feo and her mother. Living together in an isolated part of the woods, the duo have only each other and the wolves they tame. Feo and Marina are wolf wilders; their job is to tame wolves that were once kept as pets by wealthy people but no longer have a purpose for them. It's not an easy job - it's unexpected and dangerous - but the two love what they do and the passion they have for the wolves is admirable. Things take a darker turn when General Rakov involves himself in their business after the death of an elk in his territory. After some events unfold, Feo finds herself separated from her mother, the only home she knows reduced to ashes, and on the run from the Russian Army after assaulting and escaping the General. Feo doesn't fall with fear when many others would; she fights. Not only for her mother, and her wolves, but ultimately the oppression taking place in Russia. Joining Feo on her journey is a young solider boy, Ilya, who she befriended prior to the fateful day her mother was taken away. Ilya doesn't want to be a soldier, he was made to become one, and with insider information he is mighty helpful to Feo in a number of ways. The friendship they forge is progressive and wonderful to follow. As well as Ilya, Alexei, another young boy but older than both Feo and Ilya, joins the pair and plays a crucial role in the aim of the journey - to save Marina, Feo's mother. 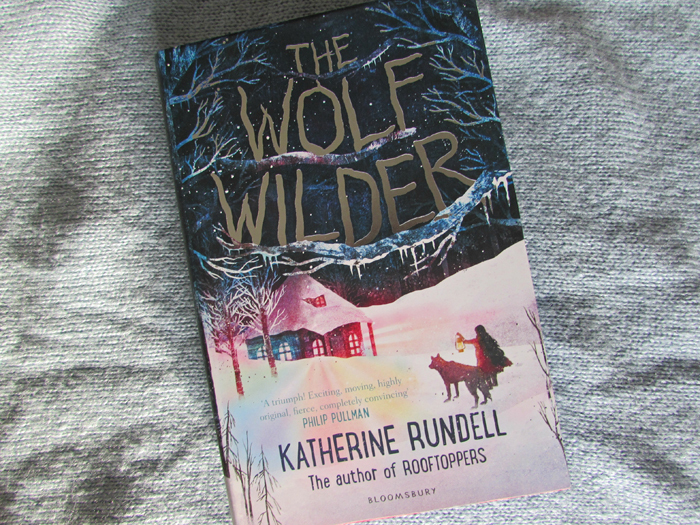 The plot of The Wolf Wilder is a relatively simple one, slow in some places, but packed with observations, adventure and little parcels of wisdom. Enhancing the plot written by Katherine Rundell are the illustrations by Gelrev Ongbico. The whole time I was reading this book I kept stopping and telling my partner about the beauty of these illustrations; they are captivating and atmospheric. Feodora is the kind of protagonist I love in middle grade books - she's fierce, fiery, full of spirit and a determined young girl - but for me there was very little character development in The Wolf Wilder. Although the development of character was a little lacking, the development of relationships was not, with the closeness between Feo and her mother being gleamed from the get go. There is a relatively short period of time for this to be build, but it is well done and lends to the entire story. Running alongside the relationship between Feo and her mother is the bond shared between young girl and wolves. Growing up around wolves, Feo has no fear of the animals; in fact she even has her very own pack - White, Grey and Black. She acknowledges herself that wolves aren't pets, but I'd say the bond we see between animal and human is almost that of family. Some pretty devastating things happen with the wolves, and I'm keeping this spoiler free, but there are some rather emotional scenes. So much is packed in to this middle grade book - family, animals, friendship, passion, determination, freedom, adventure - but it it's well done and well worth a read, whether you're the intended target audience, or older. Despite trials and tribulations, The Wolf Wilder is the kind of story that'll you'll leave with a smile. Great review. I love wolves, so I might have to check this book out. It's a really great read... There were a few times, especially involving the wolves, where you kind of thought to yourself - really?! - but I'd highly recommend this one. I'm trying to convince my partner to read it because he loves wolves. Haha! Thanks for the visit today in The Reading Corner. I don't think this is a genre I would enjoy reading, but I'm sure my Granddaughter would love it.